Buying a franchise offers all the benefits of running your own business without the stress and risk of starting from scratch. Looking for a low-risk way of owning your own business? Owning a franchise offers the independence of running your own business combined with support and advice where needed from a big and established business. Buying a franchise can be a very rewarding career move, but is it right for you? Before you start down the franchise route you should ask yourself, will you be happy following a tried and tested formula? For many people having the established method for running the business already in place is a massive bonus, but some very entrepreneurial individuals may find it too restrictive. A lot of the hard work when managing a franchise involves speaking with people. Not only will you need to manage employees and speak with customers, you’ll also need to interact regularly with your franchisor, other franchisees, suppliers, etc. Therefore it’s important that you’re a people person, or at least enjoy interacting with other people. Don’t forget as well that not all new franchises are immediately profitable. You will need enough capital not only to pay for the start-up costs but also to make any initial improvements necessary and keep you going until the business becomes profitable. Lower risk than starting your own business – When buying a franchise you have the peace of mind that you will be following a tried and tested successful formula, making it a lower risk venture than starting your own business. Less risk means easier financing – Lenders are usually more comfortable financing a franchise as they are seen as lower risk than new start-up businesses. Branding and reputation established – Franchise businesses have generally already got an established customer base and trusted and recognised branding. Successful method – Following the franchise’s established and successful method of working means less time wasted on trial and error so that you can hit the ground running. Training – Most good franchise companies will offer a comprehensive training program and materials to help you succeed with your new venture. Support – As the owner of a franchise, you’re never on your own in the same way that you would be if you were a new start-up business. You can access ongoing support from the franchisor and even ask for tips and advice from other franchisees. Future opportunities – Once you’ve conquered your first franchise there is plenty of scope to further your venture by buying more units in new locations. Watch your empire grow! Choose a franchise suited to you in an industry you are passionate about. Speak to other franchisees before taking the plunge. Before signing the franchise agreement seek advice from a solicitor specialising in franchising to put your mind at rest and check that everything is order. Ready to start looking at franchises to buy? 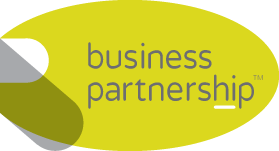 Get in touch with our team of skilled and experienced regional partners and let us help to find the ideal franchise for you by calling us here at Business Partnership on 0870 444 0 555.